America Has No Big-Picture Strategy in the Middle East. None. Zilch. A former colonel explains why we’re on a multitrillion-dollar bridge to nowhere. Toward victory? Peace? Reconciliation? At the very least, toward the prospect of the violence abating? Merely posing the question is to imply that US military efforts in Afghanistan and elsewhere in the Islamic world serve some larger purpose. 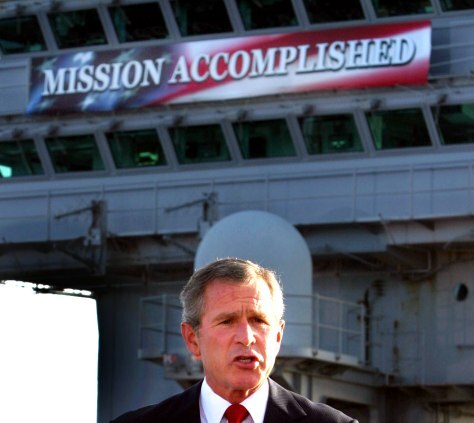 Like Bush, Obama will bequeath to his successor wars he failed to finish. Less remarked upon, he will also pass along to President Hillary Clinton or President Donald Trump new wars that are his own handiwork. In Libya, Somalia, Yemen, and several other violence-wracked African nations, the Obama legacy is one of ever-deepening US military involvement. The almost certain prospect of a further accumulation of briefly celebrated and quickly forgotten “milestones” beckons. During the Obama era, the tide of war has not receded. Instead, Washington finds itself drawn ever deeper into conflicts that, once begun, become interminable—wars for which the vaunted US military has yet to devise a plausible solution. Once upon a time, during the brief, if heady, interval between the end of the Cold War and 9/11 when the United States ostensibly reigned supreme as the world’s “sole superpower,” Pentagon field manuals credited US forces with the ability to achieve “quick, decisive victory—on and off the battlefield—anywhere in the world and under virtually any conditions.” Bold indeed (if not utterly delusional) would be the staff officer willing to pen such words today. Not for lack of trying, of course. In their quest for a formula that might actually accomplish the mission, those charged with directing US military efforts in the Greater Middle East have demonstrated notable flexibility. They have employed overwhelming force and “shock and awe.” They have tried regime change (bumping off Saddam Hussein and Muammar Gaddafi, for example) and “decapitation” (assassinating Mansour and a host of other militant leaders, including Osama bin Laden). They have invaded and occupied countries, even giving military-style nation-building a whirl. They have experimented with counterinsurgency and counterterrorism, peacekeeping and humanitarian intervention, retaliatory strikes and preventive war. They have operated overtly, covertly, and through proxies. They have equipped, trained, and advised—and when the beneficiaries of these exertions have folded in the face of the enemy, they have equipped, trained, and advised some more. They have converted American reservists into quasi-regulars, subject to repeated combat tours. In imitation of the corporate world, they have outsourced as well, handing over to profit-oriented “private security” firms functions traditionally performed by soldiers. In short, they have labored doggedly to translate American military power into desired political outcomes. When armchair generals cite the ongoing US campaign in Iraq and Syria as a model of effectiveness, you know that things must be getting desperate. On that score, the prevailing Washington gripe directed at Commander in Chief Obama is that he has not been willing to kill enough. Take, for example, a recent Wall Street Journal op-ed penned by that literary odd couple, retired General David Petraeus and Brookings Institution analyst Michael O’Hanlon, that appeared under the pugnacious headline “Take the Gloves Off Against the Taliban.” To turn around the longest war in American history, Petraeus and O’Hanlon argue, the United States just needs to drop more bombs. The rules of engagement currently governing air operations in Afghanistan are, in their view, needlessly restrictive. Air power “represents an asymmetric Western advantage, relatively safe to apply, and very effective.” (The piece omits any mention of incidents such as the October 2015 destruction of a Doctors Without Borders hospital in the Afghan provincial capital of Kunduz by a US Air Force gunship.) More ordnance will surely produce “some version of victory.” The path ahead is clear. “Simply waging the Afghanistan air-power campaign with the vigor we are employing in Iraq and Syria,” the authors write with easy assurance, should do the trick. Granted, Petraeus and O’Hanlon are on solid ground in noting that, as the number of US and NATO troops in Afghanistan has decreased, so, too, has the number of air strikes targeting the Taliban. Back when more allied boots were on the ground, more allied planes were, of course, overhead. And yet the 100,000 close-air-support sorties flown between 2011 and 2015—that’s more than one sortie per Taliban fighter—did not, alas, yield “some version of victory.” In short, we’ve already tried the Petraeus-O’Hanlon take-the-gloves-off approach to defeating the Taliban. It didn’t work. With the Afghanistan War’s 15th anniversary now just around the corner, to suggest that we can bomb our way to victory there is towering nonsense. To be fair, in silently passing over the broader fight, Petraeus and O’Hanlon are hardly alone. On this subject no one has much to say—not other stalwarts of the onward-to-victory school, nor officials presently charged with formulating US national security policy, nor members of the Washington commentariat eager to pontificate about almost anything. Worst of all, the subject is one on which each of the prospective candidates for the presidency is mum. Merely defining our aims, much less specifying the means to achieve them, heads the list of issues that people in Washington studiously avoid. Here’s the one thing you need to know about the broader fight: There is no strategy. None. Zilch. We’re on a multitrillion-dollar bridge to nowhere, with members of the national security establishment more or less content to see where it leads. Was history about to repeat itself at Khe Sanh? As it turned out, no…and yes. Does waging war across a large swath of the Islamic world make sense? When will this broader fight end? What will it cost? In retrospect, it seems pretty clear that those responsible for formulating US policy back then fundamentally misconstrued the problem at hand. Rather than worrying about the fate of Khe Sanh, they ought to have been asking questions like these: Is the Vietnam War winnable? Does it even make sense? If not, why are we there? And above all, does no alternative exist to simply pressing on with a policy that shows no signs of success? Today the United States finds itself in a comparable situation. What to do about the Taliban or ISIS is not a trivial question. Much the same can be said regarding the various other militant organizations with which US forces are engaged in a variety of countries—many now failing states—across the Greater Middle East.